My name is Andy Graham, I have traveled the world for 14 years, and visited 90 countries as of March 2012. I need to re-learn how much it cost to eat in the USA, because I have lived abroad for 14 years. I am almost embarrassed to say this, but it appears I can eat as cheap, or cheaper than most of countries where I normally would want to live, like Guatemala, Peru or Thailand. Hmm, oops, Thailand is still half the price of the USA, but Guatemala is about the same, and the Dominican Republic where I just returned from is twice or three times the cost of the USA for food. The cost of food in super markets in the USA is cheap, I can purchase a can of string bean for 75 cents, while in most countries they cost 1.25-1.50 USD. I need to Tip in the USA, while 85 percent of the world is really Tip free. Therefore, it is best for me to avoid the type of restaurants that want a Tip for service, or they want me to pay the waitress for them. Generally there is an "Incredible Deal" offered in the USA for food. Take for example the "Dollar Menu" at McDonald's, I can buy a McDouble for one U.S. dollar. 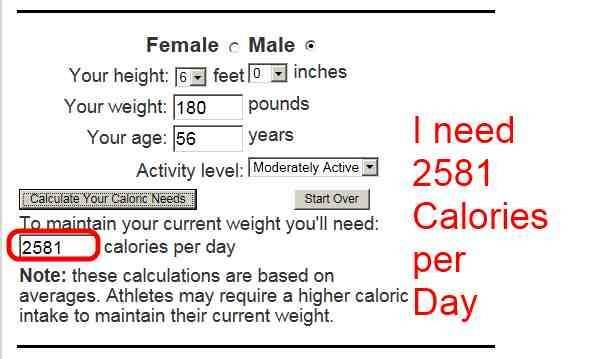 I need 2581 calories per day to stay the same weight. = 2191 more calories needed per day..
Last weekend was Easter, I went to my sisters house and probably ate 4000 calories. 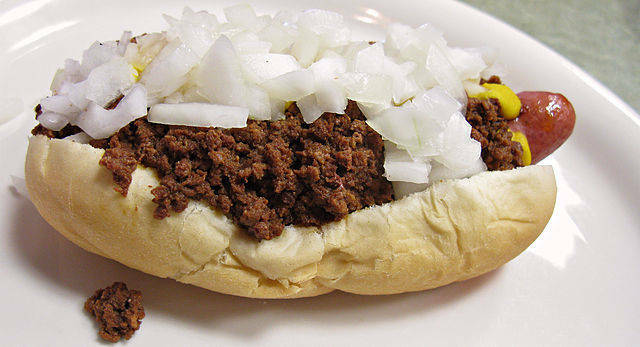 Yesterday, my Mother and Father took me to eat Coney Dogs, by eating two of them, I had 618 calories. 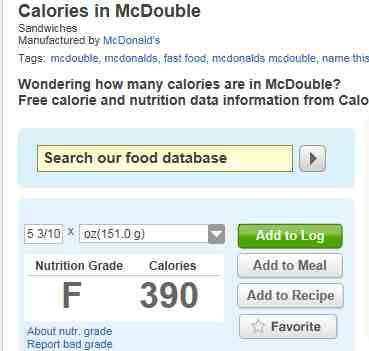 Now, I am aware, even though I may spend 5 USD per day and eat 5 McDoubles, and not have enough calories in a day, there is always the "Extra Food," where it comes from is a mystery that cannot be denied or avoided. I am 100 percent aware, that 99 percent of Americans probably would read this and believe I am crazy. However, I have no desire to be part of the group when it comes to eating inside the USA. I want to live long and prosper, and that means I must step away. What to eat today, Friday April 13, 2012? My normal tactic will be to walk into grocery stores, buy food items, walk out and eat them before I even make it back to my van. Maybe today, I go to Kroger's and have 2 dollars in Salad. Maybe today, I stop in Walmart and eat a Chicken Breast at the Deli. Maybe on the way out, I buy a can of Seaside Butter Bean, two Bananas and one Apple. 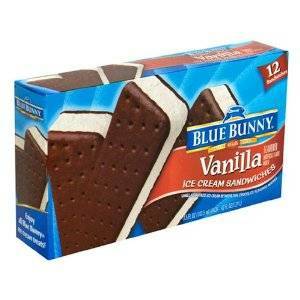 I am a grocery store food scavenger, and unfortunately yesterday, I found where I could buy 12 Ice Cream Sandwiches for one Dollar. There are these incredible deals on food in the USA, which makes the USA a cheap place to live and travel. Life is good, and I am happy to say, if I can avoid the temptations of the USA to buy 1000's of things that are not needed. Then I can live and travel in the USA for around 500 USD per month, if I wish, or want. I am not sure humans are capable of separating their wants from their needs. What I need in life is normally cheap, while what I want cost my soul. When I go out for Pizza with my friends, I look at that as an entertainment cost. Healthy food is the cheapest food just about everywhere. Unless you're in a country with very infertile soils -- like Mongolia or Iceland -- vegetables, starches, and meats are generally dirt cheap. In the USA you can get a pound of carrots for $1, often find a pound of chicken going for a little over a buck, beef for around $2 per pound, in season vegetables and fruits dirt cheap, and starches (like pasta and rice) for next to nothing. The argument that poor people can't eat well is an absolute myth and a sad excuse. If you buy unprocessed foods and cook for yourself you could probably intake far more calories per dollar than at any fast food restaurant. The trick is that you need to put effort into strategic shopping and cooking -- two things I've noticed that many Americans would rather not do. More on this at Healthy food is the cheapest food everywhere. The USA is affordable, and one reason for a 5 dollar budget is to keep me from gaining weight, it takes work to get fat on five dollars. I truly ate two Coney Dogs, so that it what I showed, and my father loves Coney Dogs, so good for him. I was talking to my friend Mike, and said, "I do not think I have been in Coney Island more than five times in my life." That is the name of the restaurant. It is difficult to eat healthy with other people. Note, the rest of the planet eat bad also, it is probably only the USA people who truly care, nothing better than the Sausage in Germany or Putin in Montreal. I agree. Good food is available in the US and at a good price. It is so much easier to eat good in a nice town in the US than it is even in Panajachal. The food was available there but a little more expensive. I guess it is up to the individual to make good choices because they are certainly available. And I like lean chicken, fish, and lots of veggies. I may have to go back to the Philippines Andy. I will let you know.